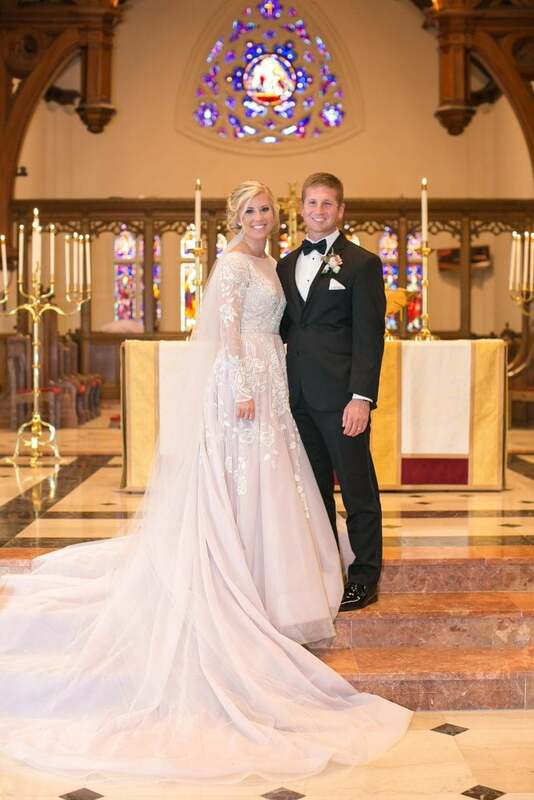 Alexa was a vision of elegance in her pale lavender Hayley Paige wedding gown. 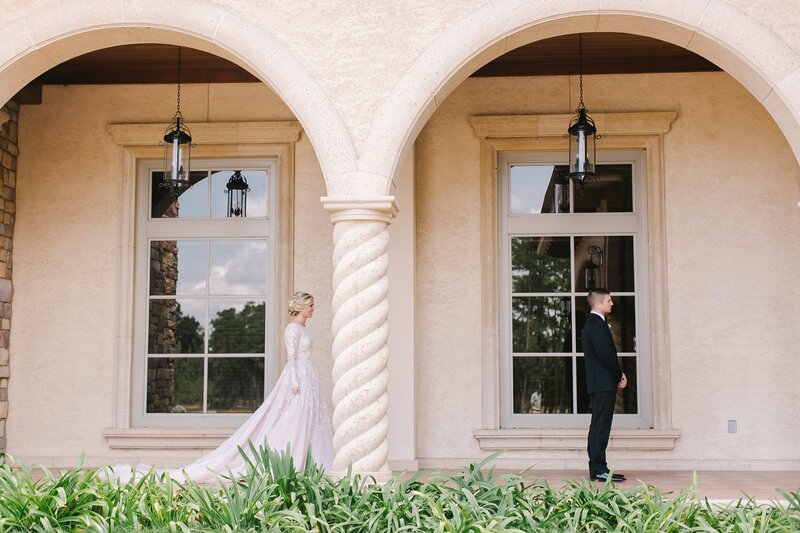 This Real Bride worked with her favorite florist to design arrangements for the big day, and together, they picked some gorgeous hues that perfectly accentuated the shifting tones of Alexa’s dress. Oceanside Cleaners took great care preserving this piece for Alexa, who hopes a family member might want to wear it one day in the future. When was your wedding date and where was it held? 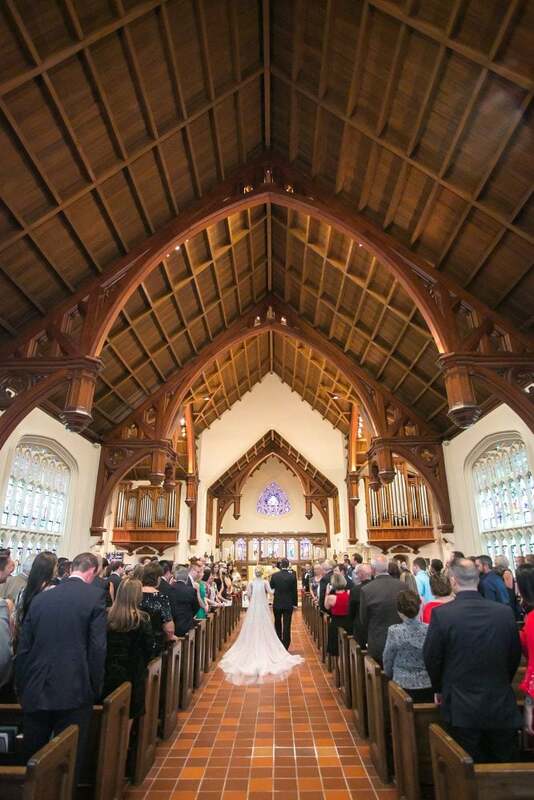 Our wedding was held in Jacksonville, Florida/Ponte Vedra Beach, our ceremony was at Saint John’s Cathedral (in downtown Jacksonville), and our reception was at TPC Sawgrass Clubhouse. Who is the designer your gown? 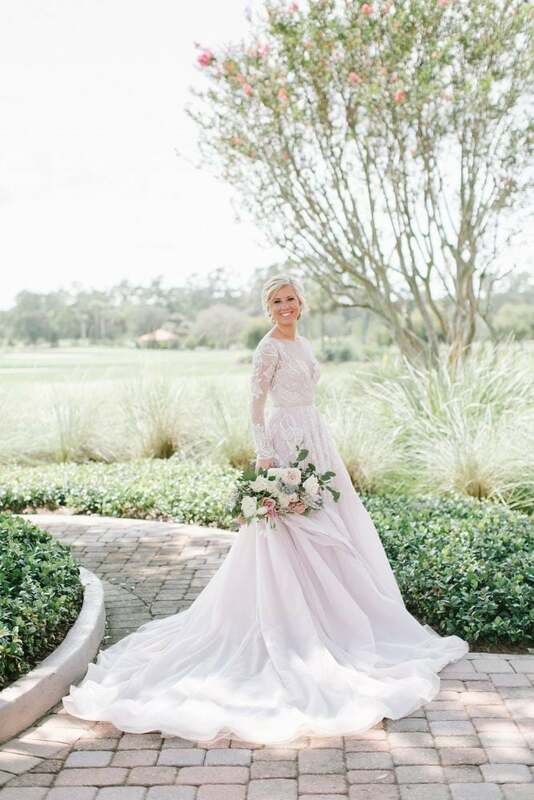 The designer of my wedding gown was Hayley Paige and it was purchased at Calvet Couture Bridal Boutique in Winter Park, Florida. A fun fact about my gown is that it is the “Hayley” and was designed as one of the three gowns Hayley Paige wore on her own wedding day. The color of the gown is one of the most unique qualities and why I chose it. It is called amethyst and the layers of tulle alternate between lavender and beige. I had seen the gown prior to shopping in stores and knew that I had to try it on. I saved the gown for last at my first bridal appointment and the minute it was zipped on, I knew I couldn’t walk down the aisle in anything else. 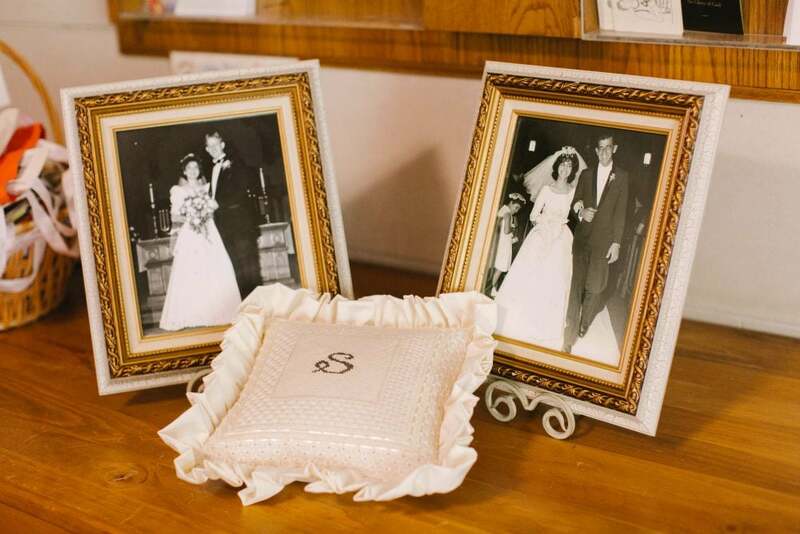 One special aspect of our wedding is that we were married in the same church as both my grandparents (1963) and parents (1987). At the entrance into our ceremony we displayed photos of each of their wedding ceremonies showing off their beautiful gowns. Some of my favorite moments from the day were the two first look’s that we got to share — just Zachary and I. We had a first look prior to the ceremony, which was the first time he saw my gown. And we also had a first look of our reception room. The wedding day itself may seem very busy, and taking those moments alone to seal memories of each other and the space you celebrate your love in is something I would highly recommend. 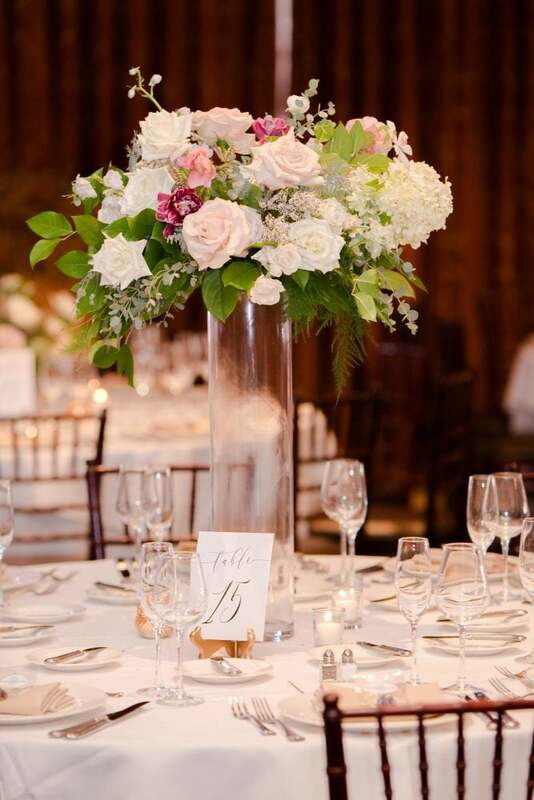 The detail that I love the most about our wedding was the floral design. 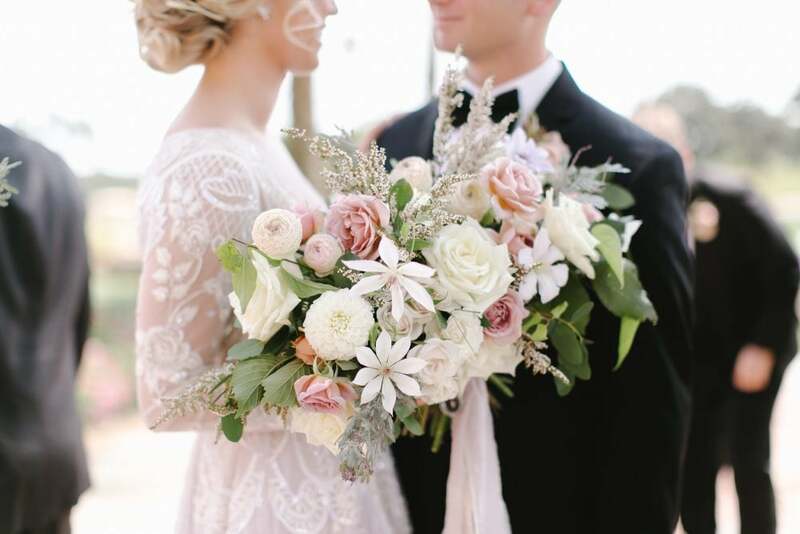 I worked with my dream florist Chandler, who owns Marble + Pine, to select soft and blush hues and she truly brought my vision of modern and elegant romance to life. 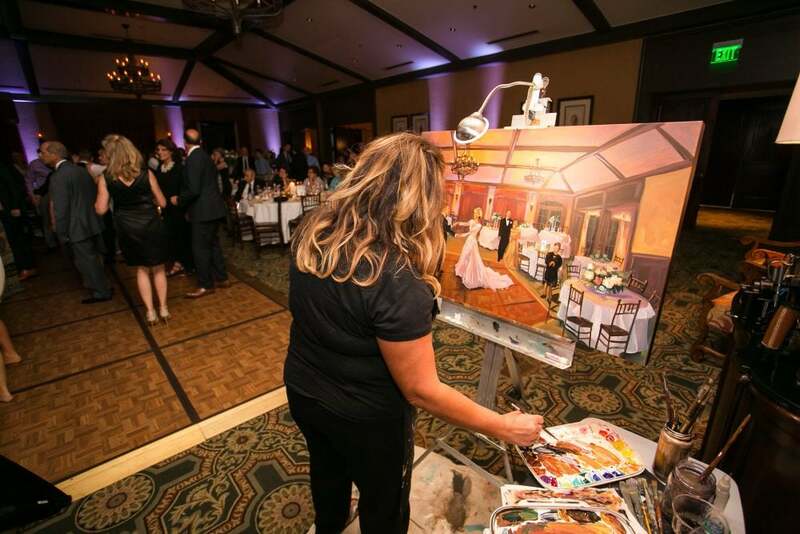 Another special element that we had at our reception was a live wedding painter. Tracy Wisehart- Plaisance painted a live scene of our First Dance and guests during our reception. We love having the painting hanging in our home as another keepsake in addition to photos and video. 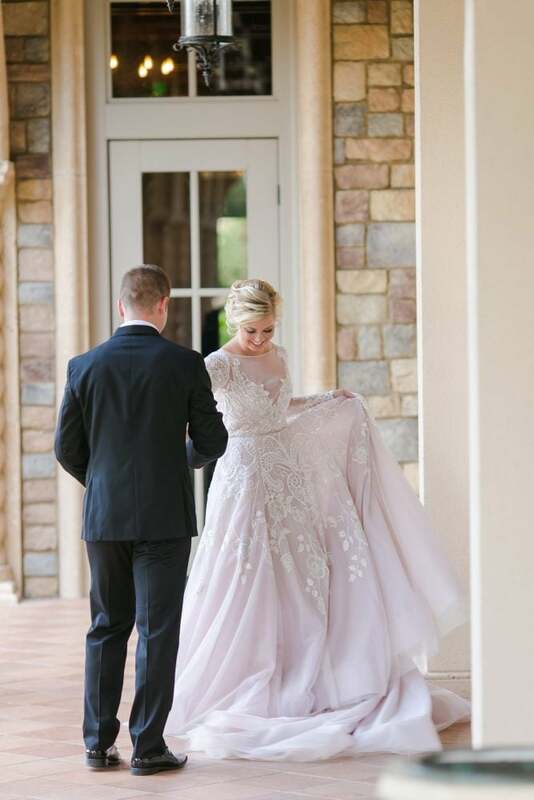 I love the detail and movement she was able to capture in my gown. Zack and I met on a blind date set up for a fraternity function in 2011. Fast forward 5 years and he proposed on a private balcony overlooking the ocean at Dana’s Villas in Santorini, Greece. I decided to seek professional cleaning and preservation of my gown because it truly was my dream wedding dress and I hope that one day someone else, maybe a family relative or future daughter, will want to wear the same gown.